Photo above- this scenic overlook is part of the improvement project of the MDC and is located just above the rock garden. What a great view of the Saville Dam. The gate house roof is just barely visible at the top of the dam and just behind the tree branches. The waters of Lake McDonough would normally be visible in the center of this photo, however the water has been drawn down and released down the Farmington River during the winter months. 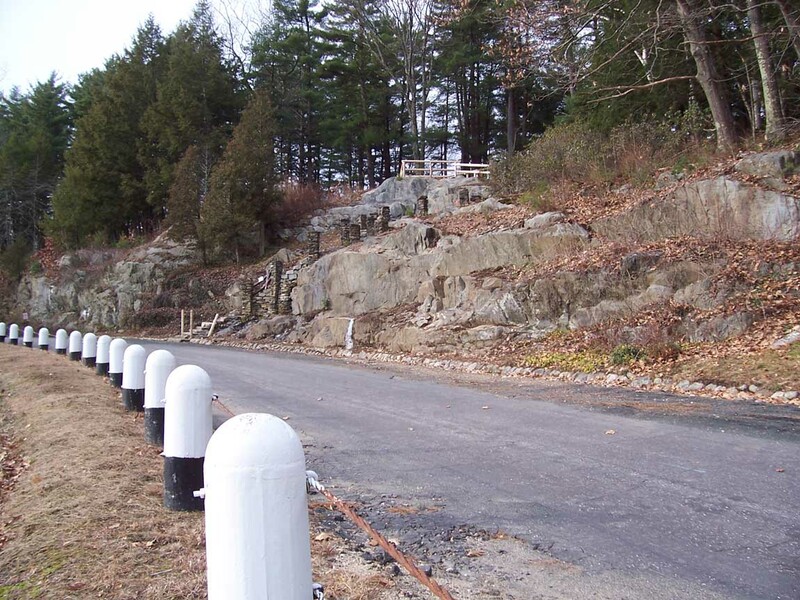 It is December 2006 and the Metropolitan District Commission (MDC) is about half way through their project to bring back the rock garden area just below the Saville Dam in Barkhamsted. During the 1950s and 1960s the rock garden was a very attractive feature in the area surrounding the dam. The flowers and other plants there were well maintained by an employee on the MDC maintenance crew (Joe Tarter). During the spring and summer months the site was colorful and often photographed by visitors. However over the last few decades the rock garden was not kept up. The flowers gave way to weeds, the shrubs and other plants declined. In the summer of 2006 that started to change when the first phase of the improvement project began. 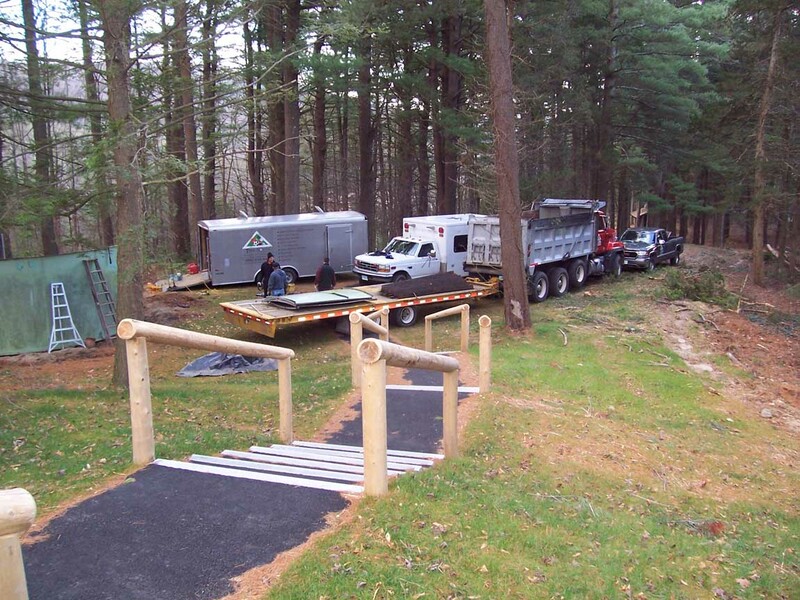 The MDC hired a landscape architect (Stephanie Fuss Associates LLC of Glastonbury, CT) to design the overall plan. Contractor True North Enterprises started work in the summer to implement the plan. The access to the area has been improved with new stairs leading from the parking lot on the west end of the dam. The MDC wanted not only to improve the access but also to redirect visitors off the old path which had been along the west side of the dam. Erosion issues were a concern along with the temptation by visitors to stray off the path and onto the face of the dam, which is not open to the public. The new path to the rock garden will be more direct and will lead from the parking lot on the spillway side of the dam (west side) through a small wooded area. Work completed so far includes brush removal, tree thinning, fencing, stairs and railings on this path and paving of the path itself. Work still to be done in the spring includes the actual planting of flowers and shrubs as well as the reconstruction of the stairs leading up through the rock garden. It is hoped the project will be completed by May 2007 and the some or all the area may be closed to the public until that time (if not the entire area, than at least the stairway up through the rock garden). When the work is finished it will be a major improvement to the landscape around the Saville Dam and will be enjoyed by the many visitors to the site. 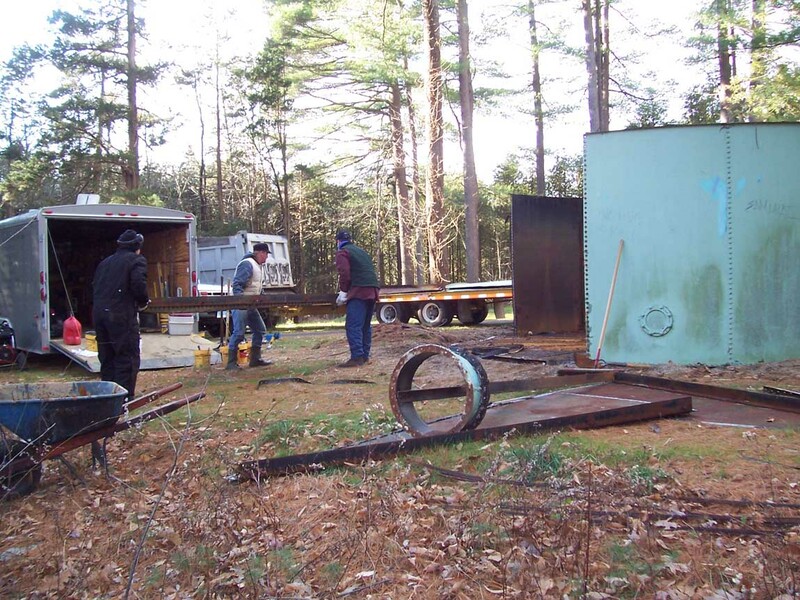 Photo above- Contract workers from True North Enterprises dismantle an old water tank and remove it from the area just off the path from the parking area to the rock garden. Above-a portion of the path and new stairs leading to the rock garden. The water tank being dismantled is the green object at far left. Above- the path leading to the rock garden, which is located just of the photo to the right. 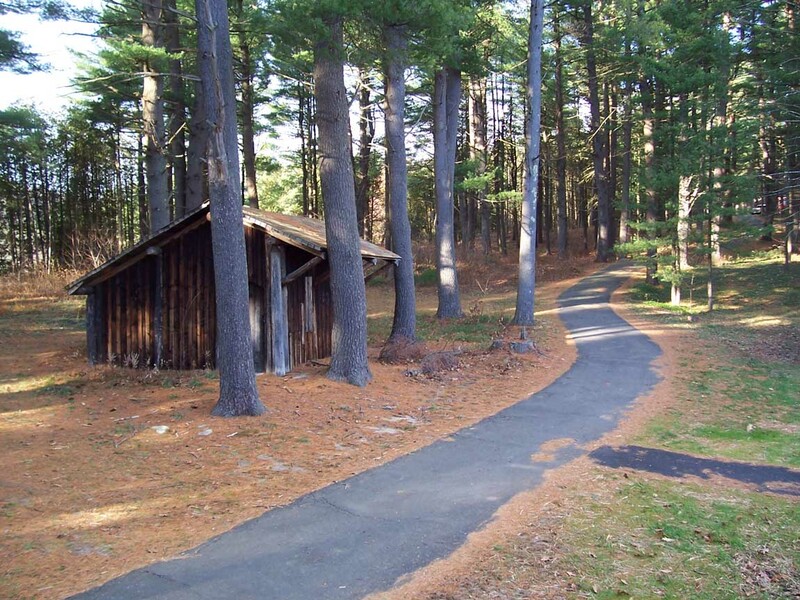 The small maintenance building was built long ago and will continue to be used by the MDC. Shown above is the main area of the rock garden. In the spring work will commence to reestablish the flowers and other plants here. 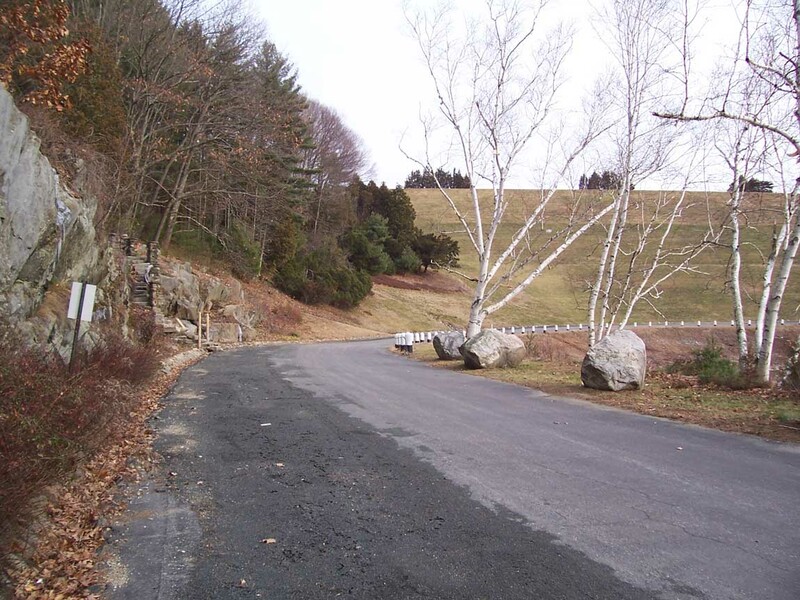 The stairway leading up from the road to the scenic overlook area will be reconstructed and open to the public in the spring of 2007. Above- looking north toward the Saville Dam. The rock garden is on the left and if you look close, the stairs leading up through the site can be seen.